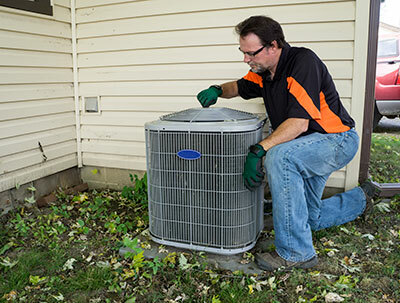 Boerne Air Conditioning Experts is your leading local resource for all AC repairs and installations in Grey Forest, TX and the surrounding areas. If you’re in need of a new air conditioning system for your South Texas home, you need it to perform well for years to come. That’s why it’s so critical to ensure that your air conditioning installation is handled by a professional. Without the technical expertise and experience of a trained technician, you simply cannot expect to receive the same amount of cooling performance. Our team understandings that your new AC is a major investment of your resources, so it’s important it be well taken care of by a pro. There are a lot of factors that goes into making a decision about a new air conditioning system for your home. First, you should consider the size of your new AC unit. Before the selection process, one of our technicians will need to perform a comprehensive load calculation. This involves a series of measurements about the size of the home, as well as other factors related to the design of the home itself. This is an incredibly important step, one that can make or break your AC efficiency and the future of your comfort. The BTU output and tonnage of the AC must match your home. If it is too small, this can result in inadequate cooling, energy inefficiency, as well as possible system damage. If it is too large, this can result in the inability to control the temperature, as well as increased energy costs. Another factor to consider in your decision process is refrigerant. 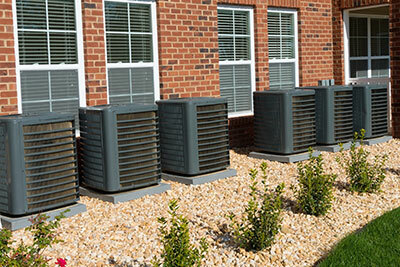 During installation, your AC is “charged” with refrigerant. This chemical is designed to change temperature and phase (liquid to gas, gas to liquid) under different pressure conditions. It’s essential that this charge be the same throughout your unit’s operation. A successful installation will make sure that it has the right charge to give you optimal cooling performance. Additionally, you should also consider the connections throughout your home. A comprehensive whole-home cooling solution is very different from a wall-unit AC. There are various connections that need to be made between the components. For example, the lineset that connects the refrigerant lines between the indoor and outdoor units needs to be handled correctly. Any error in the installation can cause numerous future problems. After installation, you’ll want to ensure that your new air conditioning unit is operating at the highest level of efficiency. One way you can do this is to enroll in an AC maintenance program. A maintenance program gives our professionals at Boerne Air Conditioning Experts an opportunity to thoroughly inspect, clean and tune-up your system biannually, so that your heating and cooling systems are fully taken care of. During peak cooling seasons, you can also help increase your air conditioner’s efficiency by changing your air filters at least once a month. Not only will this improve your indoor air quality, but it will also allow uninhibited airflow between your air handler and your living space. A clean air filter goes a long way to improving your system’s performance and energy efficiency.